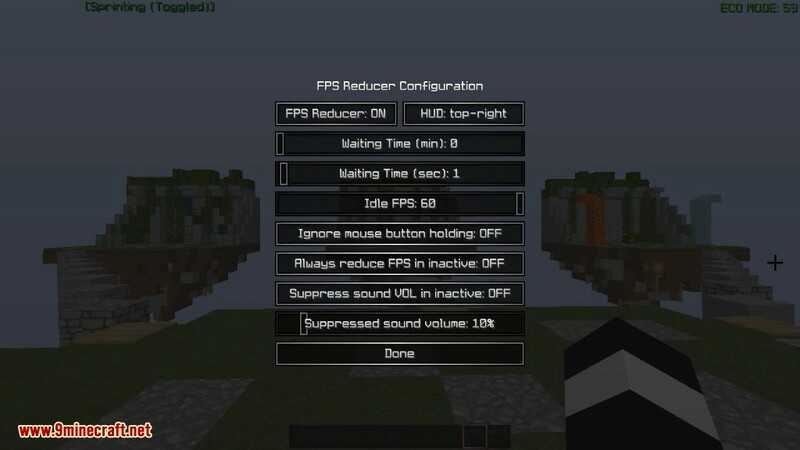 FPS Reducer Mod 1.13.2/1.12.2 reduces unnecessary GPU and CPU load by reducing the frame rate automatically when you are not operating the Minecraft for a certain period of time. As soon as the user performs any operation, it returns to the original frame rate. 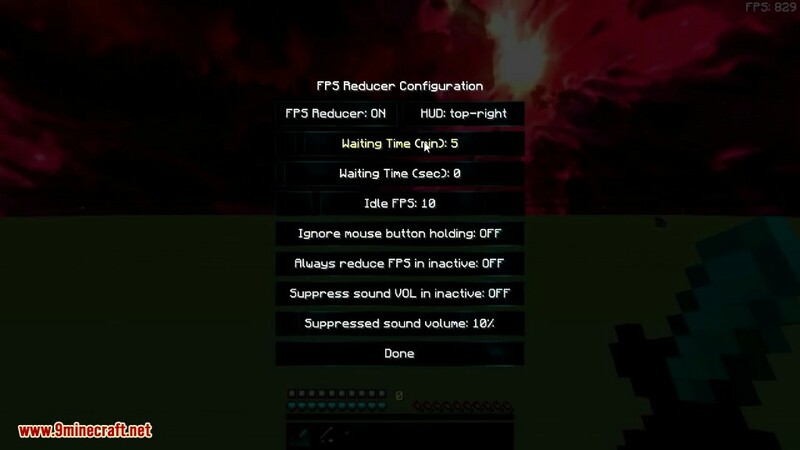 Reduce FPS automatically under the following conditions. No user operation for the specified time. The game window is inactive or minimized. Suppress sound volume if the game window is inactive or minimized. 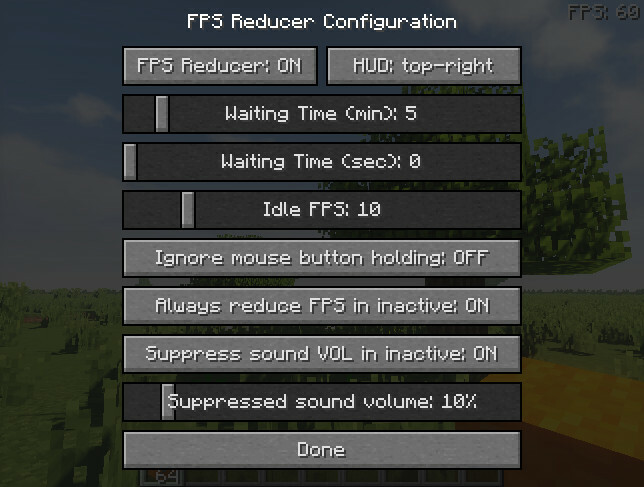 Display the current FPS on the screen edge. When leaveing the game running without the operation, for example with automated agriculture and/or industry. When doing other work concurrently with running Minecraft in background. When you want to extend the lifespan of your PC even a little. When you want to save unnecessary power. 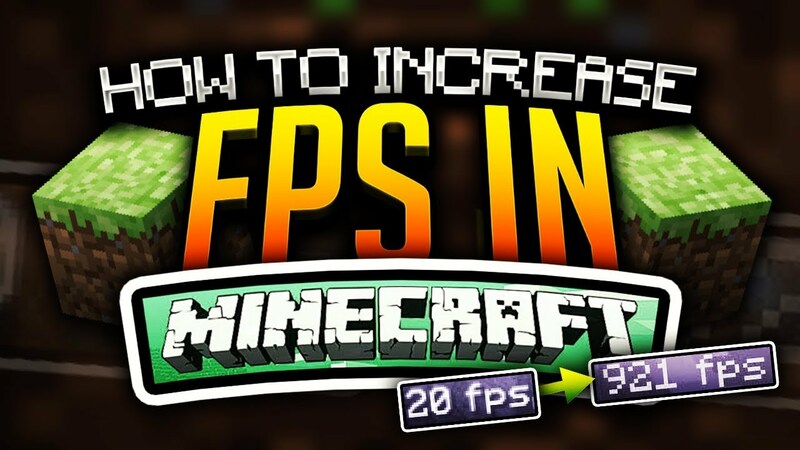 By default, if there is no operation for 5 minutes the frame rate will drop to 10. Pressing [END] key opens the configuration GUI by default. 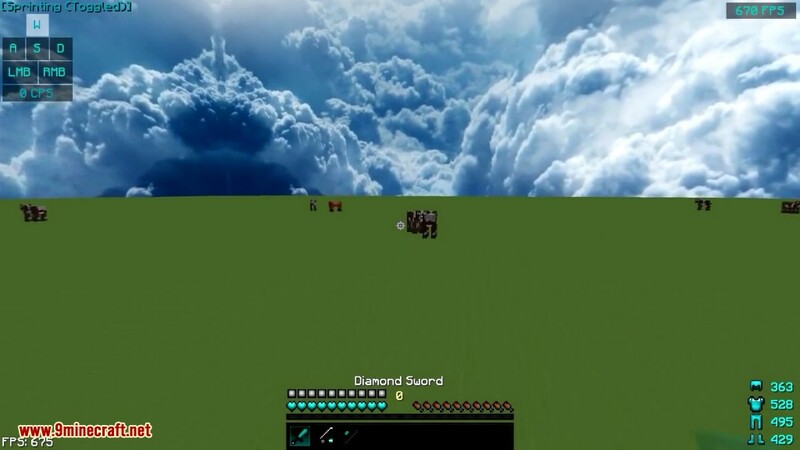 Make sure you have already installed Minecraft Forge and Chunk Animator Mod .